Home > STREETFIGHTER > Are You the Upcoming KTM 790 Duke ? Are You the Upcoming KTM 790 Duke ? Even though nothing was heard about KTM's new middleweight machines since the vague innuendos last year, it looks like Mattighofen was not idling. 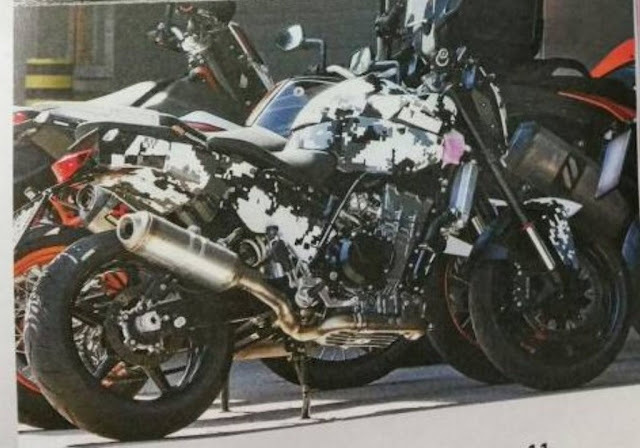 Two photos surfaced the Indian motorcycle media and they allegedly show the upcoming 790 Duke naked bike KTM plans to (hopefully) reveal this autumn. The fuzzy photos show a streetfighter that is somehow between the 390 Duke and the beastly 1290 Super Duke R. Though still not as impressive and commanding as the latter, yet showing much more street nerve than what the 390 Duke can muster, this mule may be a serious shot at the Kawasaki Z800, Ducati Monster 821, and even at Triumph's Street Triple. It looks like the new naked KTM is powered by a parallel twin engine, a departure from the classic V-architecture. As KTM has developed a new engine, we can definitely expect to see more bikes using it, with the highest hopes lying with a middleweight adventure bike, a breed bike makers seem to have completely forgotten about. Following the recipe KTM has been using for quite a while, the new machine could become the 790 Duke. No info on how mighty the new engine will be surfaced at the time of writing, but we expect it to be in the 100-115 hp zone, just to keep up with the competition. Whether the bike will receive a half-fairing or will adopt a more aggressive styling exposing the engine is yet impossible to tell. The bike pictured looks almost decent, even though in our book tidier attires are better. We'd certainly love to see radiator shrouds in place, inspired from the 1290 machine, plus more aesthetic upgrades derived from the same model. Indian sources mention that the upcoming twin Duke could be built in India, thus allowing KTM to manufacture the bike with smaller costs. 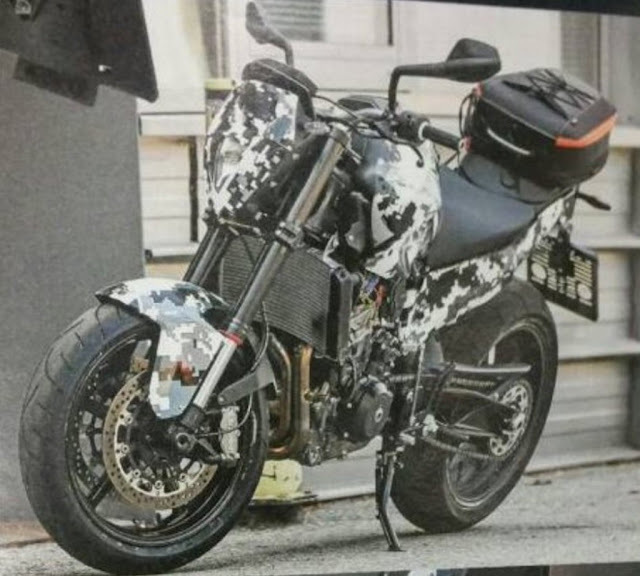 In case the rumors are true, this could be a most welcome boon for the Austrian manufacturer, as the (let's call it) 790 Duke could arrive with a very competitive price. We are attending the EICMA in November and in case KTM shows the new naked machine, rest assured we'll be there to take a kazillion photos plus offer you more details.